The guys, RobHollywood & J'Deaux Tha Groove are right back at cha with plenty to talk about. Before the show starts rolling, the fellas have an announcement to make about the podcast. check it out (1:50)! RobHollywood then opens the show with something he wants to get off his chest (5:30). Then they get to it! 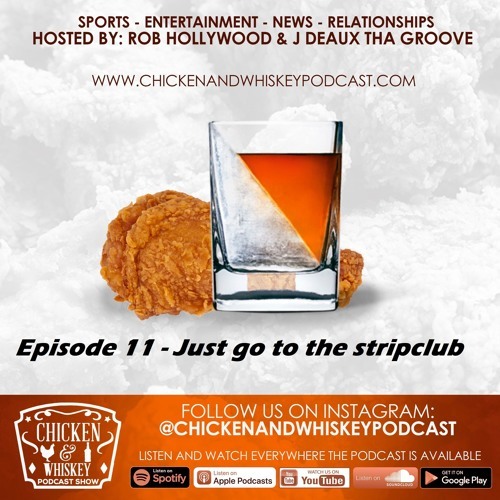 RobHollywood and J'Deaux reflect on "going out, and ask, is there a age that going to the club, feels different (19:20)? Then RobHollywood wants to explain how the club works, from a promoters point of view (27:00). Then the question turns into whats better, the club party, the day party, or THE STRIPCLUB (35:00). And at that point the conversation turns into "cuffing season" (1:03:30).